Wolf Commercial Real Estate (WCRE) is the South Jersey commercial real estate broker that clients rely on for South Jersey retail space. We represent buyers, sellers, owners and tenants for their Southern New Jersey retail space needs throughout the state, the region and the entire country. With an intensive focus on our client’s business goals, our commitment to community and our highly personal approach to client service, the team at our South Jersey commercial real estate brokerage firm is creating a new culture and a higher standard in representing South Jersey retail space. As experts in South Jersey commercial real estate listings and commercial real estate services, Wolf Commercial Real Estate goes well beyond simply helping with property transactions. 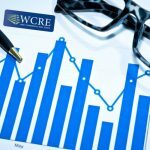 As the foremost Southern New Jersey commercial real estate brokerage firm, WCRE serves as the advisor and strategic partner that is invested in the long-term growth and success of your South Jersey retail operation. At WCRE, we learn about your real estate goals and make them our own, creating an enduring partnership. We provide our clients with ongoing detailed information about Southern New Jersey retail space to help them achieve their real estate goals. Our Southern New Jersey commercial real estate services encompass the highest quality of service, proven expertise and a total commitment to client-focused relationships. 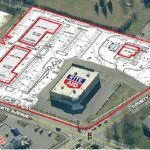 Whether you are looking for South Jersey commercial real estate listings, commercial properties, retail listings and retail properties anywhere in the country, Wolf Commercial Real Estate is the premier Southern New Jersey commercial real estate broker that can help you find the retail property that best suits your needs. Our South Jersey commercial real estate experts ensure that the sale or lease terms work hand in hand with your commercial real estate goals. At Wolf Commercial Real Estate, we partner with our clients from the beginning of the relocation analysis process in order to facilitate a smooth transition. For retail property owners looking to sell or lease their South Jersey retail space, the team at our South Jersey commercial real estate brokerage firm has developed a defined marketing process that we tailor to each property and sub-market. Our proven marketing strategy works effectively to efficiently match buyers and tenants with available Southern New Jersey retail space for sale or lease. South Jersey retail space and rents are very aggressively priced and market trends show that the region is poised for a massive rebound in retail business. For more information, please contact Jason Wolf (856-857-6301; jason.wolf@wolfcre.com), us at Wolf Commercial Real Estate, a South Jersey commercial real estate broker. Wolf Commercial Real Estate is a Southern New Jersey commercial real estate brokerage firm that provides a full range of Southern New Jersey commercial real estate services, marketing commercial offices, medical properties, investment properties, industrial properties, land properties and retail buildings for buyers, tenants, investors and sellers. Please click the links below for listings of Southern New Jersey retail space for sale or lease and other South Jersey commercial real estate listings from Wolf Commercial Real Estate, a South Jersey commercial real estate broker. Please click the links below for listings of South Jersey Office Spaces for Lease or Purchase. Wolf Commercial Real Estate, the foremost South Jersey commercial real estate broker that specializes in South Jersey commercial real estate listings and services, now has available a South Jersey retail building for sale at 1889 South Lincoln Avenue Vineland NJ. This retail space in South Jersey contains a rental-income-producing South Jersey retail building for sale: a 14,464 SF Rite Aid property. This South Jersey retail space for sale sits on a 7.64-acre lot and this retail space for sale in South Jersey is accessible to both Route 40 and Route 55. The asking sale price for this retail space in South Jersey is $1,995,000. This South Jersey retail space for sale at 1889 South Lincoln Avenue Vineland NJ is available through Wolf Commercial Real Estate, a South Jersey commercial real estate brokerage firm with expertise in South Jersey commercial real estate listings and services. This retail space in South Jersey includes adjacent land approved for additional development and this retail space for sale in South Jersey at 1889 South Lincoln Avenue Vineland NJ is ideal for medical, retail, or office uses. There is abundant parking at this South Jersey retail space for sale as well as highly visible signage and prominent visibility. This retail space for sale in South Jersey is in a well-placed retail center located on the highly traveled County Road 555 and, as such, the location of this South Jersey retail building for sale provides maximum exposure to thousands of shoppers every day. This retail space in South Jersey is being offered by Wolf Commercial Real Estate, a South Jersey commercial real estate broker that specializes in South Jersey commercial real estate listings and services. This retail space for sale in South Jersey is close to the Cumberland Mall. For more information about this South Jersey retail space for sale at 1889 South Lincoln Avenue Vineland NJ, or about other South Jersey commercial properties for sale or lease, please contact Jason Wolf (856-857-6301; jason.wolf@wolfcre.com) or Ryan Barikian (856-857-6307; ryan.barikian@wolfcre.com) at Wolf Commercial Real Estate, a leading South Jersey commercial real estate brokerage firm. Wolf Commercial Real Estate, a full-service CORFAC International brokerage and advisory firm, is a premier South Jersey commercial real estate broker that provides a full range of South Jersey commercial real estate listings and services, property management services, and marketing commercial offices, medical properties, warehouse properties, industrial properties, land properties, retail buildings and other South Jersey commercial properties for buyers, tenants, investors and sellers. Please visit our websites for a full listing of South Jersey commercial properties for lease or sale through our South Jersey commercial real estate brokerage firm. Wolf Commercial Real Estate, the foremost South Jersey commercial real estate broker that specializes in South Jersey commercial real estate listings and services, is now offering premier South Jersey retail space for sale at 18 Cross Keys Road Berlin NJ. With its location just off Route 73, this South Jersey retail building for sale is ideal for retail operations seeking maximum exposure to thousands of potential customers daily. Contributing to the high visibility of this South Jersey retail building for sale is the availability of building signage. In addition, this South Jersey retail building for sale is zoned C-3 Highway Commercial. This South Jersey retail building for sale can be acquired through Wolf Commercial Real Estate, a South Jersey commercial real estate brokerage firm that specializes in South Jersey commercial real estate listings and services. Also, this South Jersey retail space for sale is in a newly constructed building. There is 2,400 square feet available for sale at this free-standing retail space in South Jersey at 18 Cross Keys Road Berlin NJ. This retail space in South Jersey has an open floor plan. The asking sale price of this highly visible retail space in South Jersey at 18 Cross Keys Road Berlin NJ is $429,000. The building that houses this retail space in South Jersey is ideal for retail, office, or medical use. Information regarding this property is available by request from Wolf Commercial Real Estate, a South Jersey commercial real estate broker. There are more than 116,562 potential customers living within a five-mile radius of this South Jersey retail space for sale and the average household income in this same area of this retail space in South Jersey is $90,577. There is parking for eight vehicles at this South Jersey retail building for sale at 18 Cross Keys Road Berlin NJ. This retail space in South Jersey is available through Wolf Commercial Real Estate a premier South Jersey commercial real estate brokerage firm that specializes in South Jersey commercial real estate listings and services. For more information about this South Jersey retail space for sale at 18 Cross Keys Road Berlin NJ or about any other South Jersey commercial properties for sale or lease, please contact April Loomis (856-857-6308; april.loomis@wolfcre.com) at Wolf Commercial Real Estate, a South Jersey commercial real estate broker. Wolf Commercial Real Estate, a full-service CORFAC International brokerage and advisory firm, is a premier South Jersey commercial real estate broker that provides a full range of South Jersey commercial real estate listings and services, property management services, and marketing commercial offices, medical properties, industrial properties, land properties, retail buildings and other South Jersey commercial properties for buyers, tenants, investors and sellers. Please visit our websites for a full listing of South Jersey commercial properties for sale or lease through our South Jersey commercial real estate brokerage firm. Wolf Commercial Real Estate, a leading South Jersey commercial real estate brokerage firm with expertise in South Jersey commercial real estate listings and services, now has available highly visible South Jersey retail space for sale at 1285 Route 38 Hainesport NJ. This well-located retail space in South Jersey is made up of three existing mixed-use buildings: A +/- 5,304 sf retail space, a +/- 2,020 sf dwelling, and a +/- 2,310 sf workshop/storage space. This retail space for sale in South Jersey sits on a .89-acre site. Please call for more information about the asking sale price for this retail space in South Jersey at 1285 Route 38 Hainesport NJ. 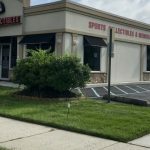 For additional details about this retail space in South Jersey, please contact Wolf Commercial Real Estate, a South Jersey commercial real estate broker that specializes in South Jersey commercial real estate listings and services. This South Jersey retail space for sale offers pylon and building signage and this retail space for sale in South Jersey is ideal for retail, professional, or medical offices. An average of more than 30,000 vehicles per day pass by this South Jersey retail space for sale between two separate signalized Route 38 intersections with Hainesport-Mount Laurel Road and Masonville-Fostertown Road. This South Jersey retail space for sale also is nearby such amenities as local grocers and retailers. This South Jersey retail space for sale is available for immediate occupancy through Wolf Commercial Real Estate, a South Jersey commercial real estate brokerage firm that specializes in South Jersey commercial real estate listings and services. This South Jersey retail space for sale at 1285 Route 38 Hainesport NJ is zoned highway commercial and offers 221 feet of frontage on Route 38. This retail space for sale in South Jersey is close to Interstate 295, the New Jersey Turnpike, and Route 73. More than 467,000 potential customers live within a 10-mile radius of this retail space for sale in South Jersey through Wolf Commercial Real Estate, a South Jersey commercial real estate broker that specializes in South Jersey commercial real estate listings and services. The average household income in the same 10-mile radius of this South Jersey retail space for sale is $92,781. For more information about this South Jersey retail space for sale at 1285 Route 38 Hainesport NJ about any other South Jersey commercial properties for sale, please contact April Loomis (856-857-6308; april.loomis@wolfcre.com) at Wolf Commercial Real Estate, a South Jersey commercial real estate brokerage firm. Wolf Commercial Real Estate, a full-service CORFAC International brokerage and advisory firm, is a premier South Jersey commercial real estate broker that provides a full range of South Jersey commercial real estate listings and services, property management services, and marketing commercial offices, medical properties, industrial properties, land properties, retail buildings, and other South Jersey commercial properties for buyers, tenants, investors and sellers. Please visit our websites for a full listing of South Jersey commercial properties for lease or sale through our South Jersey commercial real estate brokerage firm. 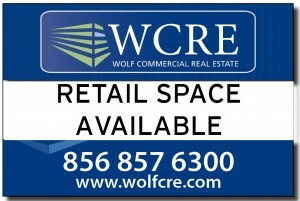 Wolf Commercial Real Estate, a leading South Jersey commercial real estate brokerage firm with expertise in South Jersey commercial real estate listings and services, now has available premier South Jersey retail space for lease in the Mainline Shopping Center at 1210 Route 130 North Cinnaminson NJ. This well-located South Jersey retail space for lease is in the heart of the Cinnaminson Business District trade area. Interested parties will find some of the region’s most prestigious retail, health care providers, and corporate office users near this retail space in Cinnaminson NJ. There is local ownership and management at this retail space for lease in Cinnaminson NJ in the Mainline Shopping Center at 1210 Route 130 North Cinnaminson NJ. There are between 2,000 sf and 3,600 sf of retail space in Cinnaminson NJ available in the Mainline Shopping Center. The asking lease rate for this retail space in Cinnaminson NJ is $15.00 sf/ NNN. This retail space for lease in Cinnaminson NJ also has a corner pad site available at the intersection of Route 130 and Willow Drive. This retail space in Cinnaminson NJ in the Mainline Shopping Center at 1210 Route 130 North Cinnaminson NJ is at conveniently located directly on the Route 130 corridor running through northwestern Burlington County. In addition, this South Jersey retail space for lease has a newly refinished parking lot. Parking is abundant at this South Jersey retail space for lease and there is building and pylon signage available at this retail space in Cinnaminson NJ. 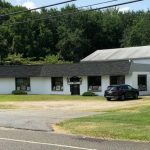 Wolf Commercial Real Estate, a South Jersey commercial real estate brokerage firm that specializes in South Jersey commercial real estate listings and services is offering this retail space for lease in Cinnaminson NJ. More than 264,000 potential customers live within a five-mile radius of this retail space for lease in Cinnaminson NJ through Wolf Commercial Real Estate, a South Jersey commercial real estate broker that specializes in South Jersey commercial real estate listings and services. The average household income in the same five-mile radius of this South Jersey retail space for lease is $244,255. For more information about this South Jersey retail space for lease in the Mainline Shopping Center at 1210 Route 130 North Cinnaminson NJ or about any other South Jersey commercial properties for sale or lease, please contact Jason Wolf (856-857-6301; jason.wolf@wolfcre.com) or Christopher Henderson (856-857-6337; chris.henderson@wolfcre.com) at Wolf Commercial Real Estate, a South Jersey commercial real estate broker. Wolf Commercial Real Estate, a premier South Jersey commercial real estate broker that specializes in South Jersey commercial real estate listings and services, is now offering well-located South Jersey retail space for lease at 2 Route 73 Berlin NJ at the Bloom Circle Shopping Center. The asking lease rate for this retail space in Berlin NJ is $13.00 per square foot NNN. This South Jersey retail space for lease is available for immediate occupancy. In addition, there is a Family Dollar store anchoring the plaza containing this South Jersey retail space for lease. This South Jersey retail space for lease has a total of 13,300 square feet available with 1,200 to 8,800 of divisible retail space in Berlin NJ located in a premier retail in-line location and 4,500 of retail space for lease in Berlin NJ at the Bloom Circle Shopping Center sitting on a freestanding pad site that once served as a McDonald’s restaurant. This retail space for lease in Berlin NJ at 2 Route 73 Berlin NJ is surrounded by some of the region’s most prestigious retail outlets, health-care providers, and professional office users. The average annual household income is $90,848 within a five-mile radius of this South Jersey retail space for lease available through Wolf Commercial Real Estate, a South Jersey commercial real estate brokerage firm that specializes in South Jersey commercial real estate listings and services. There is abundant parking at this South Jersey retail space for lease. This South Jersey retail space for lease is on a well-maintained and landscaped property and, in addition, this retail space in South Jersey is close to Route 73, I-295, the New Jersey Turnpike, and the Atlantic City Expressway. Nearly 117,000 potential customers live within five miles of this South Jersey retail space for lease at 2 Route 73 Berlin NJ at the Bloom Circle Shopping Center. This retail space in South Jersey offers building and pylon signage. For more information about this South Jersey retail space for sale at 2 Route 73 Berlin NJ or about any other South Jersey commercial properties for sale or lease, please contact Jason Wolf (856-857-6301; jason.wolf@wolfcre.com) or Christopher Henderson (856-857-6337; chris.henderson@wolfcre.com) at Wolf Commercial Real Estate, a South Jersey commercial real estate broker. Wolf Commercial Real Estate, a full-service CORFAC International brokerage and advisory firm, is a premier South Jersey commercial real estate broker that provides a full range of South Jersey commercial real estate listings and services related to this retail space in Berlin NJ at the Bloom Circle Shopping Center. Wolf Commercial Real Estate also offers property management services, and marketing commercial offices, medical properties, warehouse properties, industrial properties, land properties, retail buildings and other South Jersey commercial properties for buyers, tenants, investors and sellers. Please visit our websites for a full listing of South Jersey commercial properties for lease or sale through our South Jersey commercial real estate brokerage firm. Store closures have been the talk of the retail industry over the first five months of the year, with Sears-Kmart, JCPenney and Macy’s announcing more than 64 million square feet of combined closures since the start of 2017 and at least 10 leading in-line retailers filing for bankruptcy court reorganization or auction. While most retail property in the commercial real estate market – including Philly office space, Philly retail space and Philly industrial space – continues to perform well, the spate of department store closings has been largely confined to retailers’ under-performing locations, with the impact on centers that can least afford to lose them. However, the vacancy rate also ticked up for malls in some of the strongest locations in the country, according to a recent survey by the CoStar Group research firm. The study also showed vacancy increases in power centers and specialty centers of U.S. and Philadelphia commercial real estate properties. As a result, first-quarter retail vacancies have started to increase in certain retail segments for the first time in five years. This CoStar report on national and Philadelphia commercial properties is being offered through Philadelphia commercial real estate broker Wolf Commercial Real Estate, a Philadelphia commercial real estate brokerage firm. “It is not just the C malls that are suffering,” said Ryan McCullough, managing consultant at CoStar Group, “as the bulk of mall closures are in B malls, to the tune of 17 million square feet. While these store closings have been generalized as Class C mall problems, our research indicates this is not necessarily a fair representation. The latest financial results also show malls typically classified as B properties being the first in the U.S. and Philadelphia commercial real estate markets to be experiencing declines in net operating incomes. CoStar Group analyzed net operating income (NOI) results on more than 2,400 commercial mortgage-backed securities (CMBS)-related loans with an outstanding loan balance of $38.6 billion. In a good sign for the overall retail property segment involving national and Philadelphia commercial real estate listings, those results show the most recent NOI is up about 0.16 percentage points from the last full year reported NOI. However, one segment of the U.S. commercial real estate market – including Philly office space, Philly retail space and Philly industrial space – saw a decline in NOI: Retail properties with outstanding loan balances of $50 million to $100 million saw NOI decline by 0.05 percentage points. The NOI analysis of CMBS-related loans among the U.S. and Philadelphia commercial real estate listings also found about 42 percent of properties had an improved debt service coverage ratio (DSCR), or the amount of money left to cover required monthly debt and principal repayments. These retail properties posted strong DSCRs, improving their ratios by about 25 percent. Only about 4 percent of these properties were in the $50 million to $100 million loan balance category. For more information about Philly office space, Philly retail space and Philly industrial space or other Philadelphia commercial properties, please call 215-799-6900 to speak with Jason Wolf (jason.wolf@wolfcre.com) at Wolf Commercial Real Estate, a leading Philadelphia commercial real estate broker that specializes in Philly office space, Philly retail space and Philly industrial space. Wolf Commercial Real Estate, a Philadelphia commercial real estate broker with expertise in Philadelphia commercial real estate listings, provides unparalleled expertise in matching companies and individuals seeking new Philly office space, Philly retail space or Philly industrial space with the Philadelphia commercial properties that best meets their needs. As experts in Philadelphia commercial real estate listings and services, the team at our Philadelphia commercial real estate brokerage firm provides ongoing detailed information about Philadelphia commercial properties to our clients and prospects to help them achieve their real estate goals. If you are looking for Philly office space, Philly retail space or Philly industrial space for sale or lease, Wolf Commercial Real Estate is the Philadelphia commercial real estate broker you need — a strategic partner who is fully invested in your long-term growth and success. Wolf Commercial Real Estate, the foremost South Jersey commercial real estate broker that specializes in South Jersey commercial real estate listings and services, is now offering premier South Jersey retail space for lease at 3655 South Delsea Drive Vineland NJ. With its location near the Cumberland Mall, this South Jersey retail building for lease is ideal for retail operations seeking maximum exposure to thousands of potential customers daily. This retail space in South Jersey is on a well-maintained-and-landscaped property. Also, adding to the high visibility of this South Jersey retail building for lease is the availability of freestanding pylon and storefront façade signage. This South Jersey retail building for lease can be acquired through Wolf Commercial Real Estate, a South Jersey commercial real estate brokerage firm that specializes in South Jersey commercial real estate listings and services. In addition, this South Jersey retail space for lease is immediately available for occupancy. There is 5,101 square feet available for lease at this free-standing retail space in South Jersey at 3655 South Delsea Drive Vineland NJ. 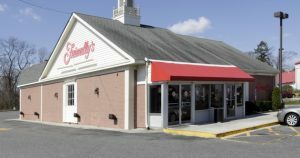 This South Jersey retail building for lease formerly was occupied as a Friendly’s restaurant. The asking lease price of this highly visible retail space in South Jersey at 3655 South Delsea Drive Vineland NJ is $70,000/year NNN. Additional information is available by request to Wolf Commercial Real Estate, a South Jersey commercial real estate broker. There are more than 77,000 potential customers living within a five-mile radius of this South Jersey retail space for lease and the average household income in that same radius of this retail space in South Jersey is $60,908. There is abundant parking at this South Jersey retail building for lease at 3655 South Delsea Drive Vineland NJ. 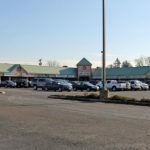 This retail space in South Jersey is available through Wolf Commercial Real Estate a premier South Jersey commercial real estate brokerage firm that specializes in South Jersey commercial real estate listings and services. For more information about this South Jersey retail space for lease at 3655 South Delsea Drive Vineland NJ or about any other South Jersey commercial properties for sale or lease, please contact Ryan Barikian (856-857-6307; ryan.barikian@wolfcre.com), Christopher Henderson (856-857-6337; chris.henderson@wolfcre.com), or Jason Wolf (856-857-6301; jason.wolf@wolfcre.com) at Wolf Commercial Real Estate, a South Jersey commercial real estate broker. Wolf Commercial Real Estate, the foremost South Jersey commercial real estate brokerage firm that specializes in South Jersey commercial real estate listings and services, is now offering premier South Jersey retail space for lease at 1003 Tilton Avenue Northfield NJ. 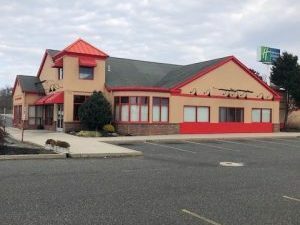 Located in a heavily traveled area, this South Jersey retail building for lease is a former Friendly’s Restaurant, meaning this South Jersey retail space for lease is ideal for any retail, office, or medical use. The lease price for this well-positioned retail space in South Jersey at 1003 Tilton Avenue Northfield NJ is $70,000/year NNN. This retail space in Northfield is available for immediate occupancy through Wolf Commercial Real Estate, a South Jersey commercial real estate broker that specializes in South Jersey commercial real estate listings and services. There is a total of +/- 3,054 square feet of South Jersey retail space for lease at this South Jersey retail building for lease at 1003 Tilton Avenue Northfield NJ. This retail space in Northfield sits on .92 acres and there is excellent access to Atlantic City, Margate, and all shore points from this retail space in Northfield. This retail space in South Jersey available through Wolf Commercial Real Estate, a South Jersey commercial real estate brokerage firm, is close to the Atlantic City Expressway and there also is easy access to the Garden State Parkway from this retail space in Northfield. Nearly 98,000 potential customers live within five miles of this South Jersey retail building for lease at 1003 Tilton Avenue Northfield NJ. This retail space in South Jersey has freestanding pylon and storefront façade signage. For more information about this South Jersey retail space for lease at 1003 Tilton Avenue Northfield NJ or about any other South Jersey commercial properties for sale or lease, please contact Ryan Barikian (856-857-6307; ryan.barikian@wolfcre.com), Christopher Henderson (856-857-6337; chris.henderson@wolfcre.com), or Jason Wolf (856-857-6301; jason.wolf@wolfcre.com) at Wolf Commercial Real Estate, a South Jersey commercial real estate broker. Wolf Commercial Real Estate, a leading South Jersey commercial real estate brokerage firm with expertise in South Jersey commercial real estate listings and services, now has available highly visible South Jersey retail space for sale or lease at 1410 Delsea Drive Deptford. 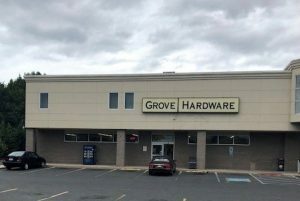 This well-located retail space in South Jersey features a 7,641-square-foot hardware store in a newer building, built in 2002, in the fast-growing Gloucester County community of Deptford Township. A retail, medical, or professional application would be perfect for this retail space for sale in South Jersey. The asking sale price for this retail space in South Jersey at 1410 Delsea Drive Deptford is $749,000 and the asking lease price for this retail space in South Jersey is $15.00/sf NNN. For more information, please contact Wolf Commercial Real Estate, a South Jersey commercial real estate broker that specializes in South Jersey commercial real estate listings and services. There is excellent floor-to-ceiling storage space in the rear of this South Jersey retail space for lease or sale as well as a 12-foot-by-10-foot rear bay door for deliveries. This retail space for sale in South Jersey also features a 16-foot ceiling height throughout most of the building. Located at the corner of Delsea Drive and Cooper Street, this South Jersey retail space for sale or lease at 1410 Delsea Drive Deptford is situated at a busy intersection near other popular retailers. 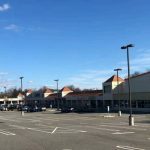 This retail space for sale in South Jersey is close to Burger King, Dunkin’ Donuts, and PNC Bank and is nearby the Deptford Mall, Bank of America, Subway, and Columbia Bank. This retail space in South Jersey also offers convenient access to Route 55 and the New Jersey Turnpike. This South Jersey retail space for lease or sale is available for immediate occupancy through Wolf Commercial Real Estate, a South Jersey commercial real estate brokerage firm that specializes in South Jersey commercial real estate listings and services. There is highly visible building and monument signage at this South Jersey retail space for lease or sale at 1410 Delsea Drive Deptford. In addition, there is abundant parking at this South Jersey retail space for sale or lease. More than 179,000 potential customers live within a five-mile radius of this retail space for sale in South Jersey through Wolf Commercial Real Estate, a South Jersey commercial real estate broker that specializes in South Jersey commercial real estate listings and services. The average household income in the same five-mile radius of this South Jersey retail space for lease or sale is $74,986. For more information about this South Jersey retail space for sale or lease at 1410 Delsea Drive Deptford about any other South Jersey commercial properties for sale or lease, please contact Ryan Barikian (856-857-6307; ryan.barikian@wolfcre.com) or April Loomis (856-857-6308; april.loomis@wolfcre.com) at Wolf Commercial Real Estate, a South Jersey commercial real estate brokerage firm. Wolf Commercial Real Estate is a leading South Jersey commercial real estate broker that provides a full range of South Jersey commercial real estate listings and services, marketing commercial offices, medical properties, industrial properties, land properties, retail buildings and other South Jersey commercial properties for buyers, tenants, investors and sellers. Please visit our websites for a full listing of South Jersey commercial properties for lease or sale through our South Jersey commercial real estate brokerage firm.